A virtual phone number is a telephone number that is not tied to a specific phone device or phone line. In the past, a phone number was provisioned to work over a single phone line, and that line was physically connected from the phone company to the destination (a home or business office) by telephone wires. Any calls made to that phone number could only be sent to that specific destination. And in the case of a business phone number, the business would have phone system (PBX) hardware in the office to configure call routing rules, extensions, voicemail, etc. A virtual number removes these physical limitations that previously “tied down” phone numbers and lets a business have greater control and flexibility in how it receives calls. When used with cloud phone systems or UCaaS providers, virtual numbers can be directly purchased from the provider and managed via the web in the service’s admin portal. This allows businesses to set the destination of a virtual phone number and change it in real-time without having to wait for the service provider’s representatives to get around to the task. For businesses that have multiple office branches, a virtual phone number will seamlessly unite scattered staff. Instead of incoming calls ringing phones in only one office, a virtual number will have those calls ring phones across the separate offices. How? If you have sales reps in different cities, make the destination of the virtual number a call queue or ring group. Incoming calls to the virtual number will then ring the phones of all reps who are a part of the queue or group—simultaneously or sequentially, depending on the ring strategy that you have set up. Any rep can then answer the call, no matter which office she is in. If your business has many clients or customers located in a different city or state, let them call you by dialing a local phone number in their own area code. Virtual phone numbers will help you establish a presence in areas where you’re not physically located while also reducing the cost of your incoming calls. Just purchase the phone number from your provider (OnSIP has a pool of phone numbers available to customers for immediate activation) and set the destination to ring phones in your office— even if your office is not in the area serviced by the number’s area code! When running sales or advertising campaigns, it’s imperative that you measure the overall health and success of the efforts. Rather than funneling all calls through your main business line, assign a unique virtual phone number to each campaign that you are running. That way, you’ll know when a caller is coming in from a specific campaign just by the number that was dialed. And when the campaign is over, download and review your business’s past call reports to see how many calls came in to the specific virtual number—it can be one of the data points that will help you evaluate how successful your efforts were. You can also use virtual phone numbers to support remote working and business travel. Perhaps your business’s owner wants to be reachable on his cell phone while away from the office but doesn’t want to give out his personal cell number to the entire company. By using a virtual phone number and setting its destination to his cell phone, staff can reach the owner simply by dialing the virtual number. Many VoIP providers offer virtual phone numbers, either as a part of a larger PBX offering or as a key component of a lightweight phone system. Virtual phone numbers are at the heart of Google Voice's operations. Google Voice allows United States residents to choose a local phone number for voice service. This phone number forwards all calls to devices that the user has specified, such as cell phones, computers, and the Google Voice web portal. 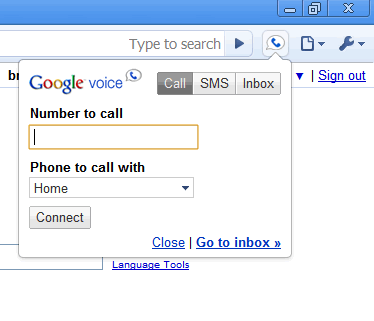 Google Voice has limited PBX functionality. Although the service comes with voicemail, text messaging, conference calling, and call transcription, it lacks E911 support, full SMS range, and VoIP interoperability. Google Voice works best for small businesses that want to retain a professional image by having a business phone number. However, Google Voice has limited phone system functionality, which makes it hard to do anything other than making/taking basic voice calls. For more features and capabilities, you'll have to turn to a hosted VoIP solution. 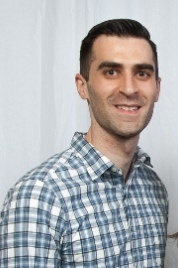 MightyCall bills itself as a virtual phone system for small businesses. The service gives users two virtual business phone numbers, including local, toll-free, and vanity options. A perk of MightyCall is that users don't have to purchase new hardware to use the service. A free softphone app for desktop and mobile is included, and the service also works with landline and home phone devices. 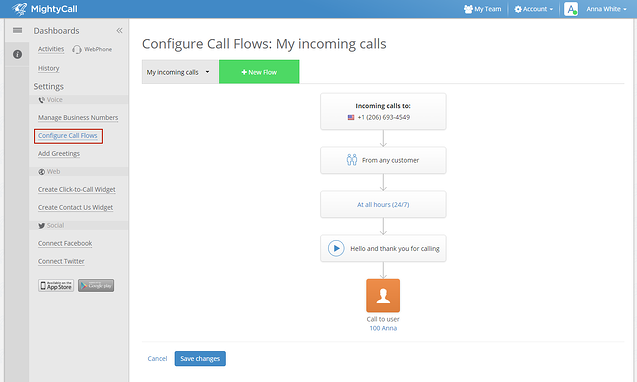 MightyCall has more phone system functionality than Google Voice, including auto attendants, employee extensions, and custom greetings. However, the service is not as robust as full business phone systems, lacking third-party integrations, video calls, and other leading UC features. There's also a limit to the number of virtual phone numbers you can assign to each phone system. MightyCall can function as a step up from Google Voice for users who want the minimum of a phone system package, as well as access to multiple virtual phone numbers, including vanity and toll-free numbers. OnSIP is a communications platform as a service provider (CPaaS) that offers feature-rich business phone systems for small and medium-sized businesses. Virtual phone numbers are just one of many features the service offers. These virtual numbers can forward calls to mobile phones, landline phones, IP phones, computers, or any device that's been assigned a phone number. OnSIP has no limits for the number of virtual numbers you can create. Besides virtual phone number support, the platform is already primed for remote working, with high-quality service and geographic flexibility, including softphones and webphones that allow you to work from anywhere. OnSIP does not currently have SMS support, so those looking for a text-based forwarding service may have to look elsewhere. The service is a good choice for users who want a full SMB phone system. 8x8 virtual phone numbers are available in more than 50 different countries, including the US and Canada. This allows for international callers to significantly reduce their long-distance phone bills. The calls can be forwarded to IP phones, computers, and mobile devices. If you have a significant presence in other countries, this option might be a good fit. However, 8x8 is a full business phone system solution for SMBs and enterprises. If you're a small business that just wants a business phone number, you might be better served by MightyCall or Google Voice. OnSIP has available toll and toll-free numbers in all areas of the US.